I love Valentine's day! It's a fun day for me to remind the people that I love that they are important. 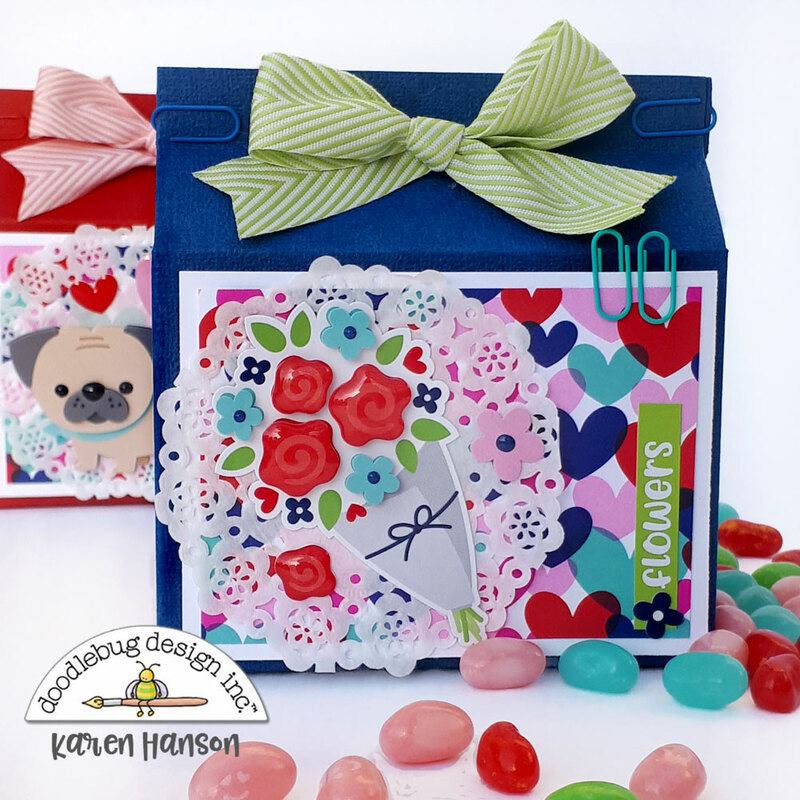 But it isn't for everyone, and that's why I love the new French Kiss collection from Doodlebug. If you love Valentine's Day, this collection is for you. If you don't, this collection is for you too! Really! 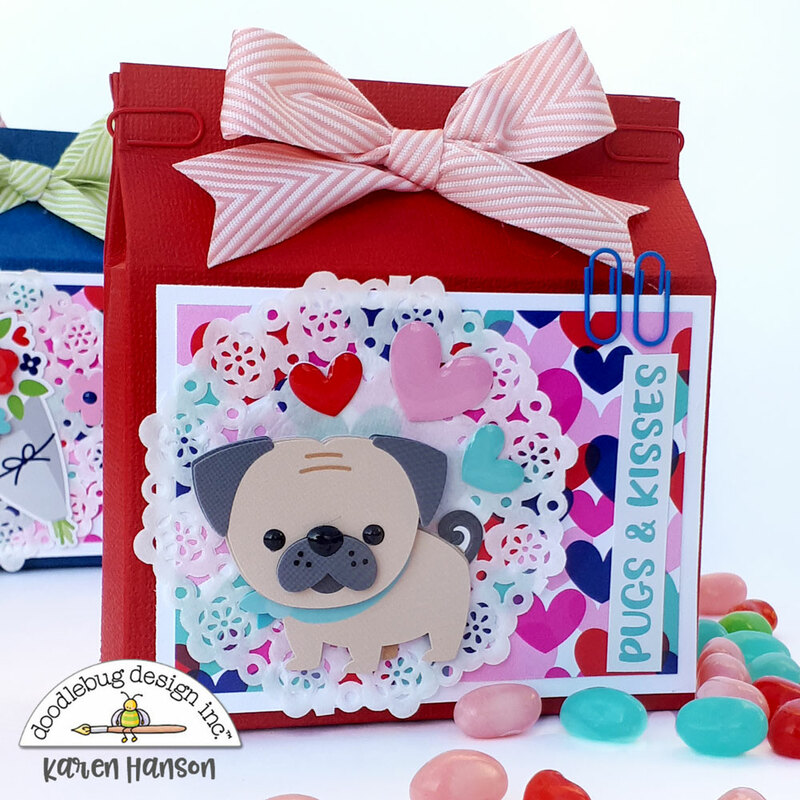 Inspired by the adorable Doodlepops in this collection (Doodlepops that I usually hoard actually), I decided to create some treat containers that were adorable enough for Valentine's Day, but also "generic" enough to give away for any purpose. With a few score lines and a few cuts, these containers came together in no time. The Doodlepops were the perfect focal point on the front of the containers, simply placed on top of some adorable mini doilies in Lily White. 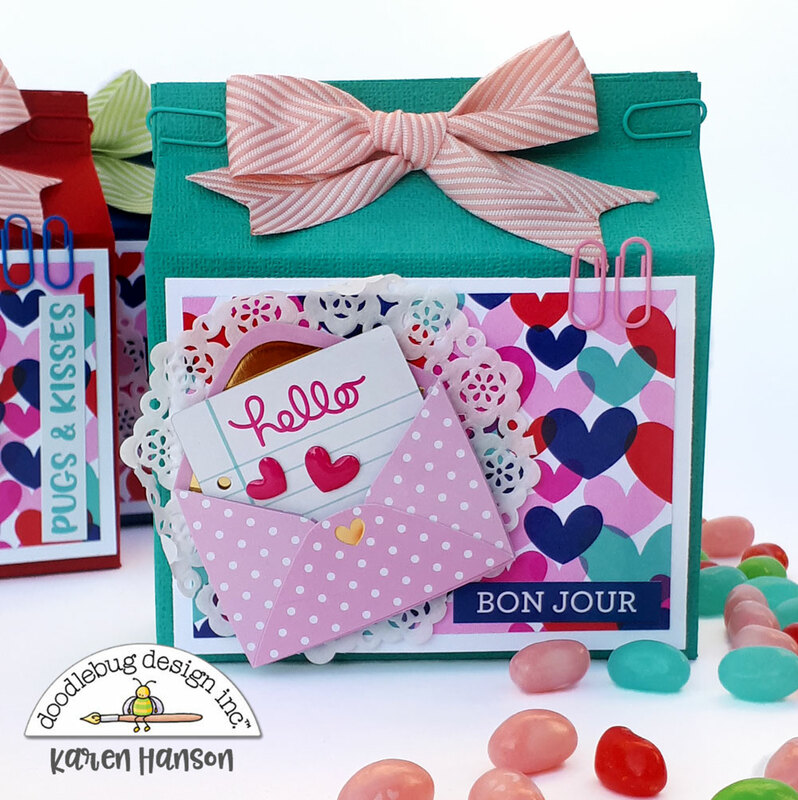 With a cute sentiment from the This and That sticker sheet and a couple of mini paper clips on top of some matted French Cafe patterned paper, these little containers pack a dynamic little punch that says everything from "hello" to "thank-you" to "I love you" - Valentine's Day or not! I can't wait to give these away to some great colleagues in the coming days! 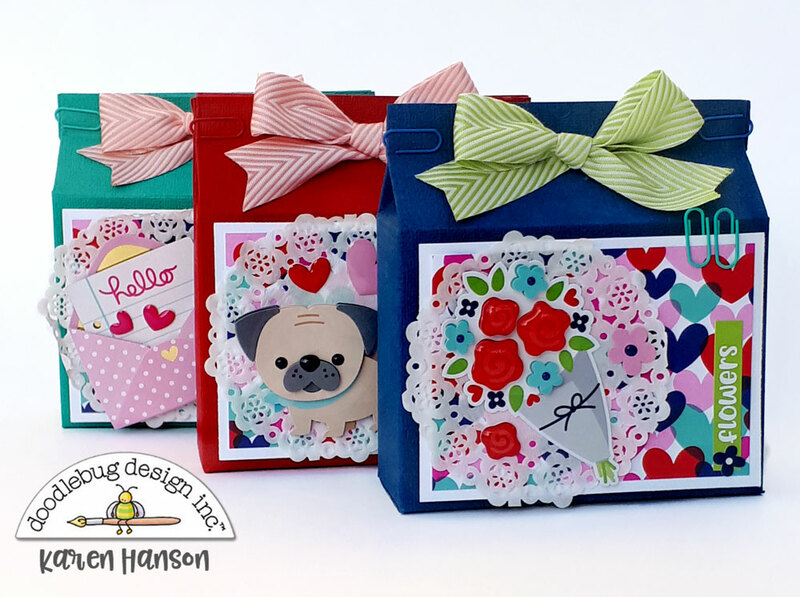 So get out there and make something adorable with this collection - just because! These are adorable!! But I don’t see any instructions as to how to make these cute little treat boxes...could you please advise...? They’re are absolutely adorable!! I’m a doodlepop hoarder too!! These are just to cute, but I see no mention or instruction on the box. Could you share or advise. Thanks you and Thank You for sharing your talents.